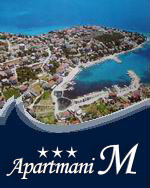 Apartments M are standing in a small coastal place called Seget Vranjica. 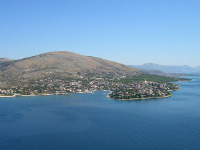 Seget Vranjica is 4 km far away from well known, under UNESCO`s protected town Trogir. 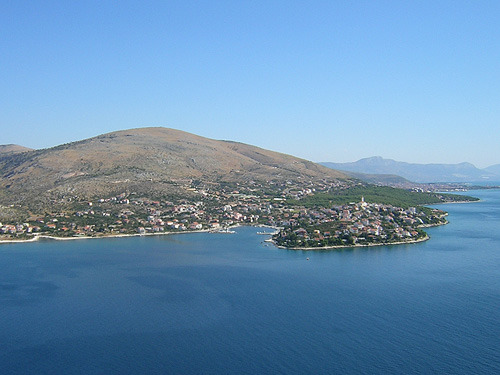 Surrounding of Trogir and Seget Vranjica are characterised with fertile vegetation, olive groves, numerous islands and small islands, stony and pebbly beaches. 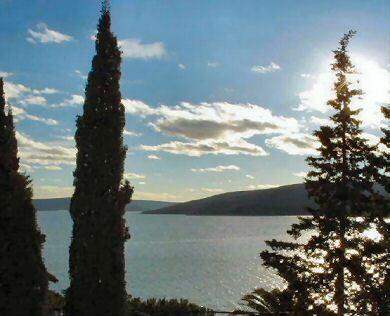 Peace, silence and hospitality are the main characteristics of this town. 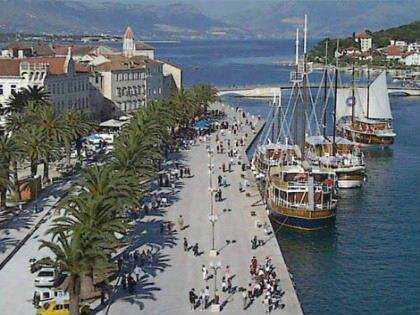 For those who love pertaining to the history of culture and art will be delighted with Trogir. Trogir is full of authentic buildings, beautiful streets where you will meet bedded and magnificent heritage. Unique history pith, Radovanov portal, artistic collections, that have delighted travellers, will leave you without breath too. 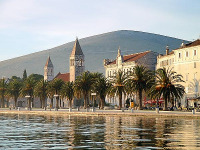 Non less impression leaves the town Split and 1700 years old Diocletian`s palace,f ortress Klis and Antic town Salona witch at it`s time had 80 000 people. Except pertaining to the history of culture offer you will enjoy in nature. 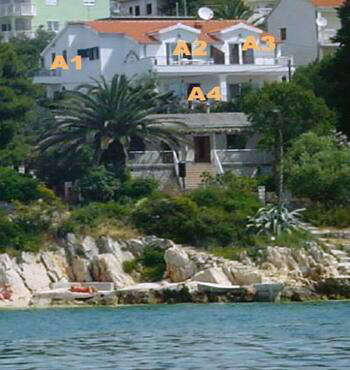 One day trips to the nearby islands, mountaineering to the park of nature Biokovo, rafting on river Cetina, visit to the national park Krka will fulfils your vacation. One yearly vacation won`t be enough.You will come to us next year too.